If you have 10 minutes, this video is a fantastic use of your time. If you don’t have 10 minutes, squeeze this in anyway. 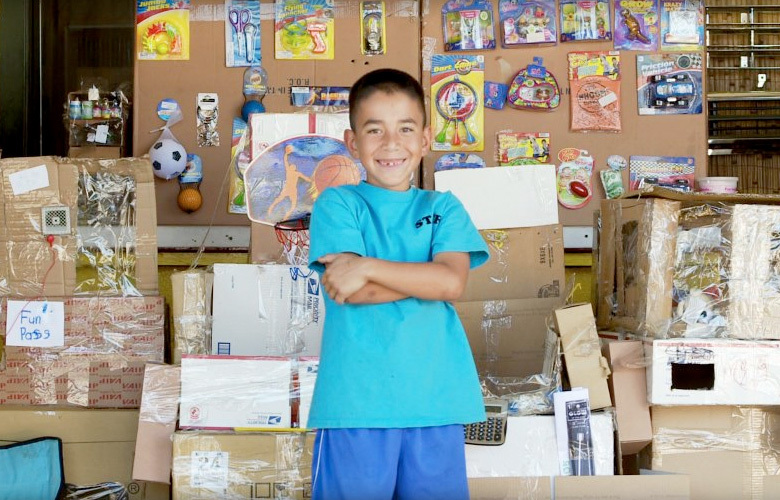 This video is about an entrepreneurial 9-year old who built an elaborate arcade entirely out of cardboard boxes. You’ll love him and the thoughtful kindness of stranger Nirvan Mullick, the first customer of Caine’s Arcade. The video made me tear up a little bit (I’m serious about the tears – this isn’t just a cover for my secret life as a Navy SEAL). Let this inspire you to do something great today. Visit the web site for Caine’s Arcade. Video made by Nirvan Mullick, who is clearly a skilled filmmaker. Here’s an update: Mullick built a web site for Caine’s Arcade and included a small box that says, “Chip in $1 or more to help Caine go to (& prepare for) college. Also, to help more kids like Caine, the Goldhirsh Foundation is matching your donations to Caines Scholarship Fund dollar-for-dollar (up to $250K) to help us build the Caines Arcade Foundation – which will help find, foster, and fund creativity and entrepreneurship in young kids.” So far, over $195,000 raised. I think you’ll probably also like these blog posts: Jack Andraka about an amazing 15 year old who has invented a game changing cancer diagnostic test, 7 Easy Ways You Can Be a Better Person (the second most popular post in this blog’s history) and Mission Statement for Life .